As of Wednesday night, MGM had taken twice as many point-spread bets on the Eagles as it had the Patriots, and eight times more money-line bets on Philadelphia than New England. In addition to the multimillion-dollar bet, Rood said he had taken a couple of six-figure wagers and several five-figure bets ranging from $10,000 up to $80,000. He said the majority of the larger bets had been on New England, but some were placed on the Eagles as well. 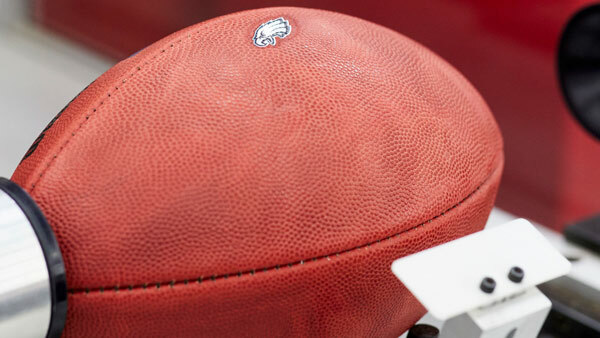 Million-dollar bets on Super Bowls are not uncommon. One or two normally show up, but they're usually placed closer to game day. Getting the big bet with more than a week before kickoff is a bonus, Rood said. "It's a good position that we got it this early," Rood said. "It gives us an opportunity to do what we're supposed to do -- try to put us in the best possible position."